Next to Forever 21, ASOS.com is my next favorite store to buy from. Everything about their Curve line is spot on with trends and styles, you can never go wrong with them. For some people (like me! ), ASOS might be more on the expensive side but their sale section is where I mostly shop. They always have great deals there. So when I saw this Skater Dress with Twist Neck for $26.00, I jumped on it immediately. I adore this dress! 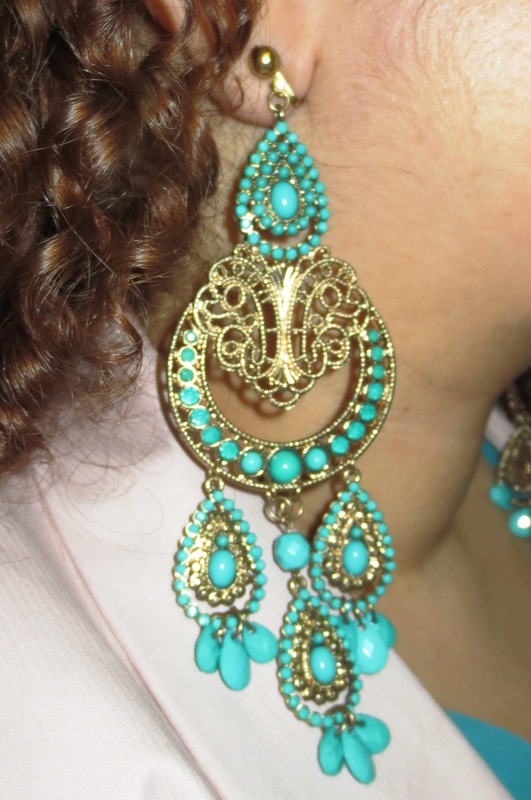 It's made so well and the beautiful Turquoise color was so vibrant. I ended up buying it in a US16 and I'm glad I did because it fit me perfectly. They had it in a mint color and I could kick myself for not buying that one too. Since Mother Nature still hasn't realized it's spring yet, I wore my Blush Blazer from H&M with it. I wanted to keep the look simple and clean because I didn't want to take away from the dress with a bunch of accessories. The dress is suppose to be the star of the show. So with a simple skinny belt and black booties made the dress look that much more charming. 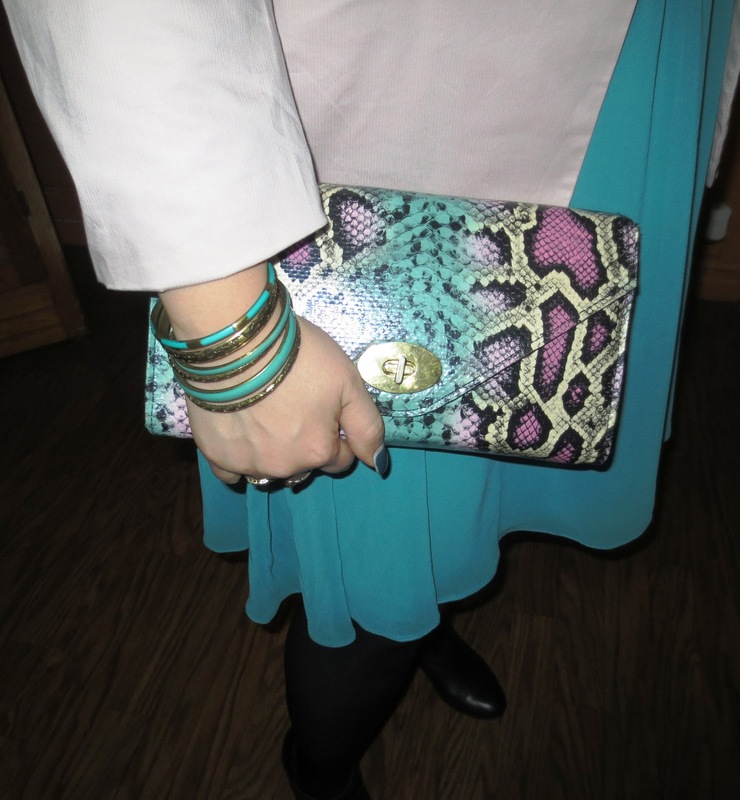 I added a clutch with for a pop of color and some turquoise jewelry to compliment the ensemble. El vestido en ese azul es precioso. Bss. Lindo color de vestido y el clutch bellisimo.